Mike, 33, said the battery-powered myo-electric bebionic3 hand has given him a new lease of life. He said: “It has changed my life immeasurably. 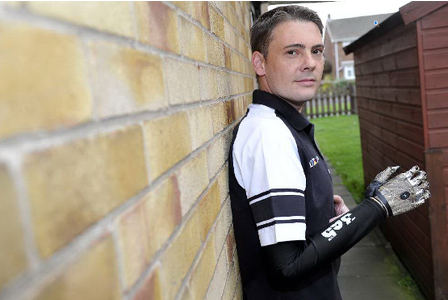 “Having a bionic hand that actually works like a real hand is such a confidence booster. “It encourages you to take on different tasks and is a great ice-breaker. “I’ve heard little kids in the street saying ‘Look, it’s a robot’.